What is the practice of Architecture? The practice of architecture means the rendering or offering to render for reward, the services of an Architect with the registration board of Jamaica. As a young Architect in Jamaica and one who was locally trained, I take my job very seriously. I hold and will continue to hold my profession in high esteem. From my early teenage years in high school I knew I wanted to do architecture. This has followed me through my years of university and now into my adult life. I have remained focused on the profession that I have chosen and always intend to give of my best to my clients and to the profession of architecture. The average Jamaican considers architecture to be four walls of a building that contains space that protects us from the natural elements. Architecture is a lot more than this; functionality as per the client’s needs, the quality of space, aesthetic appeal and added security are just a few of the things to be considered when designing a building. A well-designed building often speaks volumes to the client’s increased productivity, quality of life and overall resale value of the development. The fee charged by professionals is just a fraction of the total cost of the development. It is often the perception of the public that Architects and consultants in general charge a lot of money. Consultant fees should not be viewed in this light. One must this question – when making a major cash investment isn’t it the usual practice to consult a Lawyer, a Banker or Financial advisor before moving forward, with confidence knowing that you are making the right choice and that the money to be invested will be money well spent? Why not do the same for the Architect or the other professionals within the building industry? The fees charged by consultants will be a mere percentage of the construction cost and by utilizing the expertise of such individuals it is inevitable that the client will get value for money whilst enhancing the creativity of the end product and undoubtedly significantly increasing the resale value of that property. A well-structured design, that captures all of the above-mentioned elements will end up saving the client money by removing all levels of indecisive action during construction. It makes sense to get it right the first time. It will be to the client’s best interest in every respect. Times are hard and money is scarce and I take the budget of my client and the timelines required to complete projects very seriously. One has to be mindful that the completion date of a project could significantly impact on a client’s ability to earn or to start repayment on a hefty bank loan. From my experience, clients appreciate on time delivery and projects that are completed within budget. They always want to be informed by the Architect as to where we are in the process and also what is to be the deliverables by both the Architect, and the other consultants involved in the process. The client expects a high level of professionalism from the Architect in the execution of his works from the conceptual stage of the project all the way to completion. 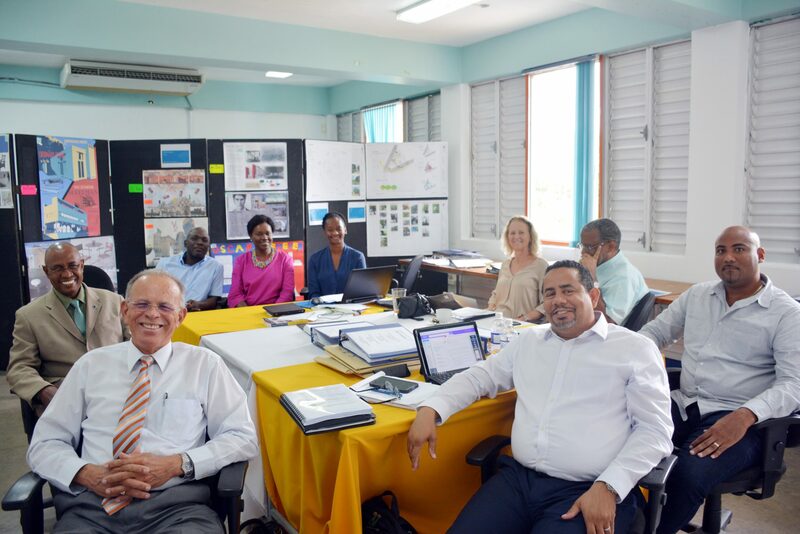 What is also important in the design and implementation of any project is to ensure that the building is built to the specifications of the building code of Jamaica. I have noticed that the Kingston and St. Andrew Corporation has been making significant strides in the demolition of structures that have not been approved by the Corporation and that are in clear violation of some of our building codes. I humbly applaud their efforts. For too long the architecture of our beloved country Jamaica, has been eroded based on the quality of the structures that exist. I urge my fellow Jamaicans to choose wisely when making significant investments to our built environment and to our beloved country on the whole. I implore the public to use registered consultants who have been properly trained in their respective field of study. Make your contribution to nation building whilst protecting your investment. Get it right the first time. It is time for change, and the time is now.